Indian Reorganization Act of 1934 allowed people of Indian descent who were not members of federally recognized tribes to apply for recognition as an Indian. The IRA also allowed tribes to set up their own governments with the rules for determining membership. This Act defined a person as Indian based on three criteria, tribal membership, ancestral descent, or blood quantum. 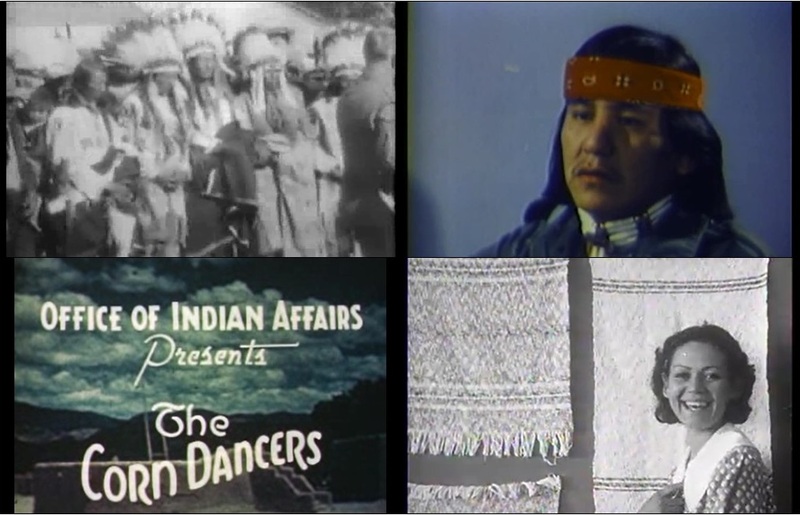 The applications the federal government used had five factors to certify individuals who claimed to be more than half-blood Indian: tribal rolls, testimony of the applicant, affidavits from people familiar with the applicant, findings of an anthropologist, and testimony of the applicant that he has retained "a considerable measure of Indian culture and habits of living." We have records in RG 75, Entry 616. Gave tribes better self control over their own affairs, allowing them to apply directly for federal grants and programs. The 1978 American Indian Religious Freedom Act uses a two-part definition that defines an Indian as a person who belongs to an Indian Tribe, which in turn is a group that "is recognized as eligible for the special programs and services provided by the United States to Indians because of their status as Indians." In the Act, Indian was described as "any individual who is a member of an Indian tribe; or for the purpose of this section is certified as an Indian artisan by an Indian tribe." An Indian tribe was defined more broadly than just to tribes with federal recognition, but also to "any Indian group that has been formally recognized as an Indian tribe by a State legislature or by a State commission or similar organization legislatively vested with State tribal recognition authority." The 1994 Federal Legislation amendments to American Indian Religious Freedom Act gives another common definition, defining an Indian as one who belongs to an Indian Tribe, which is a group that "is recognized as eligible for the special programs and services provided by the United States to Indians because of their status as Indians." Defines a tribe eligible to have land put into trust as one that was recognized by the Federal Government under the IRA in 1934. 25 CFR 151.2 - Definitions. (b)Tribe means any Indian tribe, band, nation, pueblo, community, rancheria, colony, or other group of Indians, including the Metlakatla Indian Community of the Annette Island Reserve, which is recognized by the Secretary as eligible for the special programs and services from the Bureau of Indian Affairs. For purposes of acquisitions made under the authority of 25 U.S.C.488 and 489, or other statutory authority which specifically authorizes trust acquisitions for such corporations, “Tribe” also means a corporation chartered under section 17 of the Act of June 18, 1934 ( 48 Stat. 988; 25 U.S.C. 477) or section 3 of the Act of June 26, 1936 ( 49 Stat. 1967; 25 U.S.C. 503). (4) For purposes of acquisitions outside of the State of Alaska, Individual Indian also means a person who meets the qualifications of paragraph (c)(1), (2), or (3) of this section where “Tribe” includes any Alaska Native Village or Alaska Native Group which is recognized by the Secretary as eligible for the special programs and services from the Bureau of Indian Affairs. 45 CFR 1336.10 - Definitions. Alaskan Native means a person who is an Alaskan Indian, Eskimo, or Aleut, or any combination thereof. The term also includes any person who is regarded as an Alaskan Native by the Alaskan Native Village or group of which he or she claims to be a member and whose father or mother is (or, if deceased, was) regarded as an Alaskan Native by an Alaskan Native Village or group. The term includes any Alaskan Native as so defined, either or both of whose adoptive parents are not Alaskan Natives. American Indian or Indian means any individual who is a member or a descendant of a member of a North American tribe, band, Pueblo or other organized group of native people who are indigenous to the Continental United States, or who otherwise have a special relationship with the United States or a State through treaty, agreement, or some other form of recognition. This includes any individual who claims to be an Indian and who is regarded as such by the Indian tribe, group, band, or community of which he or she claims to be a member. The Federal Decennial Census for 2010 presented choices and an individual’s response to the race question was based upon self identification. In 1928 Congress permitted California Indians to bring suit against the US for lands taken from them. They were defined as Indians residing in the State of California on June 1, 1852, and their descendants. The 1928 roll was approved May 16, 1933, and included 23,571 names. The 1928 roll is part of RG 75, Entry 904. The applications are in Entry 576. The funds were not distributed right away, and in 1933 they had to amend the roll to eliminate the deceased and add those born after. We also have it on Microfilm M1853, which is where Ancestry got it from. In 1944 there was a Court of Claims Award to California Indians. This happened again, with the 1944 funds. The roll had to be updated again in 1948. There was another amendment in 1950 which allowed some of those who had lived outside California to be eligible. A new roll was approved in 1955. That roll of California Indians was prepared pursuant to the Act of May 24, 1950 (64 Stat. 189), and was completed in 1955 (see records in RG 75, Entry 964A). There was also an award made in 1964, from the Indian Claims Commission, see Dockets 31 and 37, RG 279. Later, Dockets 186, 215, and 333 were merged with these, and later still, Dockets 80 and 80-D. The merging occurred as different suits brought by various bands were consolidated to represent the Indians of California (but still did not include splinter groups). The Act of September 21, 1968 (82 Stat. 860) again provided for the preparation of a roll of persons of California Indian descent and the distribution of certain judgment funds. The new 1968 Act had different standards of eligibility so it had to be an entirely new roll. The deadline for filing an application was December 31, 1969. The completion of the roll was complicated by the existence of numerous “splinter groups” or cases in which a person’s ancestry was derived from groups claiming lands in and outside of California. Some of those groups had already filed claims for lands in California, as well as in adjoining states, and therefore were excluded from sharing in the funds. The 1968 Act provided for the new distribution to include funds residual to the earlier awards. Entry 576 California Applications. One file, 10645, was a huge application with many names. It is filed as Central Classified Files #36818-1945-312 Mission. It has 416 pages, of which 96 are this application. The 1972 California Judgement Roll resulted from the 1968 Act. I do not know where the 1968 – 1972 records are, but suspect they may be in our California regional branches. Our California branches can give information on this judgment roll. The records we have are mostly for the western tribes, and consist of lists of people eligible for allotments, applications for allotments, allotment surveys, correspondence back and forth between the BIA and the GLO about the process, surveys of plats, trust patents, and inheritance records when an allotment owner died. The allotment policy ended in 1934 with the passage of the Indian Reorganization Act. This is a finding aid for records we have here in DC. There are still some land allotment records that remain in the custody of the BIA and the GLO. RG 217, Accounting Offices of the Treasury. First check the list of allotment volumes in RG 75 Entry 343, see box list. Find the tribe and request those volumes or loose papers. Next check the files in the Central Classified Files of BIA Entry 121, under 313.1, for allotments. Decide which agency, request the files for that agency and the 313.1 classification number. These will usually be records relating to inheritance where the legitimate relatives have to be identified. You can also find in the CCF under the classification number 312, the records relating to the request for a trust patent to be turned into a fee patent that could be sold to anyone. Third, check all the separate series of allotments listed in RG 75, and, Entry 102, Special Case 147 (see list of tribes under Special Case 147.) This will have some correspondence related to the process. Use PI 163 or the Guide to search by tribe name for separate series in RG 75. Fifth, check the allotment rolls in RG 217 (Entries 681-684). Look at the PI index. We usually say that the allotment process ended with the Indian Reorganization Act of 1934. But that applied to the surveying of reservations into allotments. Apparently, a person could still apply through the Bureau of Land Management for an allotment in the public domain for some time after that. The General Land Office took care of issuing allotments on the Public Domain to Indians who were not living on a reservation. According to CFR 43, Section 2530 on Indian Allottments, a person was supposed to make an application through the GLO for an allotment, and then get a certificate from the Indian Office that he or she was indeed an Indian entitled to an allotment. That certificate was supposed to be attached to the allotment application. And, here’s the clinker, “Each certificate must bear a serial number, record thereof to be kept in the Indian Office.” Obviously, that would amount to a serial number being given to each applicant. However, I have not been able to find any. We do have thousands of Indian Allottment applications filed under various Land Offices in the GLO records, and I couldn’t examine them all. But of the ones I did look at, there was no certificate with a serial number from the Indian Office. But that doesn’t mean there are none! If you have an ancestor who received an allotment on the public domain, you can look him/her up on the BLM site: www.glorecords.blm.gov The allottment files listed under various land offices are much more similar to the regular land entry case files. They contain the application, and any correspondence about it. You can get the information and send for a copy of the file, or come in and request it.